Peneleh Fruit Market is other fruit market genesis in Surabaya like Widodaren market, Pawiyatan Fruit Market, Dupak Fruit Market. At first, member of Bali had visit to Surabaya to try to look for better life. Because at that moment many buses from Bali which its passenger is downwards around Peneleh Street Surabaya, loading and unloading at elbow Bali Hotel, Singaraja Hotel. Initially they bring fruit in a few numbers to be sold. But because the request of fruit increasingly, hence they always fulfill the request. Because the fruit production was too much in Bali hence it sent to Yogya, Solo, Surabaya, Jakarta. Balinese believer often applies fruit as part of religious ceremony and holiday of Galungan and also Kuningan. 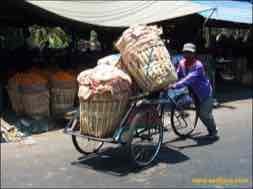 It is a mother named Made Prami as the existence pioneer of Peneleh Fruit Market. Grape, be first commodity that commercialized and make Penenleh market known as Grape Fruit Market. Grape and Rambutan delivered from Singaraja regency and, Salak (fruit of palm) from Sibetan-Karangasem. Till now, the merchants of fruit feel love to trade here because it is strategic location. Sharing holder or commission is a system that used by trading off the effect of the farmers or Bali fruit collector. Besides Grape, there are also Salak Pondoh, Stone Apple, Palembang and Banjarnegara Hamlet. 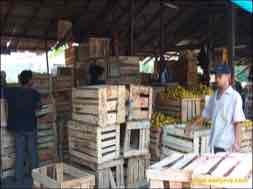 Along the Length of Peneleh and Achmad Jais Street, there is merchant who has shop or large building to sell fruit of import. Around 35 booths inhabit through Peneleh Street. They also release electrical garbage fee 15 thousand rupiahs per day. 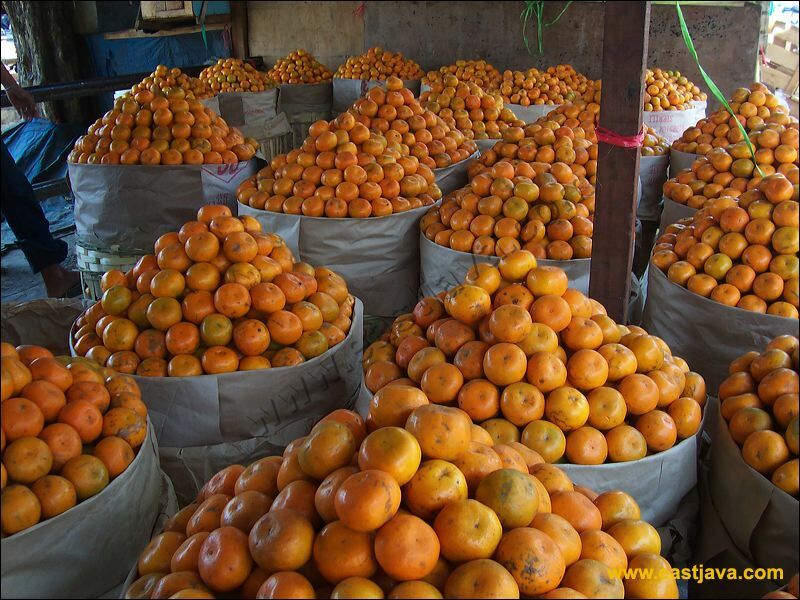 The area in Indonesia that known as the center of Oranges that is Ujung Pandang, Bali, Jember, Banyuwangi, Lumajang. According to the merchants, now, the quality of best orange comes from Jember. The price of fruit is depends of the season. If it had the season, meant abundance result while the request tend to stable hence price will leap, so also on the contrary. The price of orange is determined based on the quality of fruit and classified in 5 categories that is Grade A Rp 4500 - Rp 7000, Grade B Rp 3500 - Rp 4500, Grade C Rp 2500 - Rp 3500, while last Grade 4 around Rp 1000 per kg. Purchasing minimize for oranges per crate or party. Out of job one packaging cases 5, 10, 20, 40 kg. 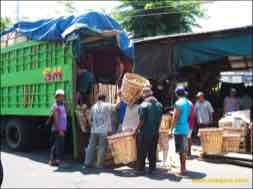 The origin merchants outside of Surabaya like Gresik, Sidoarjo, Lamongan, Bojonegoro, Blora, Gresik, Yogya, Pemalang look for fruit in term is "kulakan" to be sold again in their area. The constraint of trade fruit here is the transportation fee, which too height and the biggest existence of collection alongside journey. As information 1 truck measure charges Trenton reach Rp 21 million containing approximately 22 tons. We very lag with China, Vietnam, Thailand, because besides the production always increase with good quality and supported with policy of government that very support. The farmers in Indonesia become refuse to cultivation because its result is unmatched with the production cost that had released by farmer. Like its production cost orange reaching Rp 1500, - per kg, but after crop only be esteemed Rp 500,- per kg. Nearing night the merchants from outside town coming for "kulakan" and morning of the small traders in Surabaya. Now the dominant fruit that had sold is orange. Therefore, Pegirian Market is Rambutan.